It is a privilege to practice gynecologic oncology. I have always felt this way, since the first day I started practice 30 years ago. 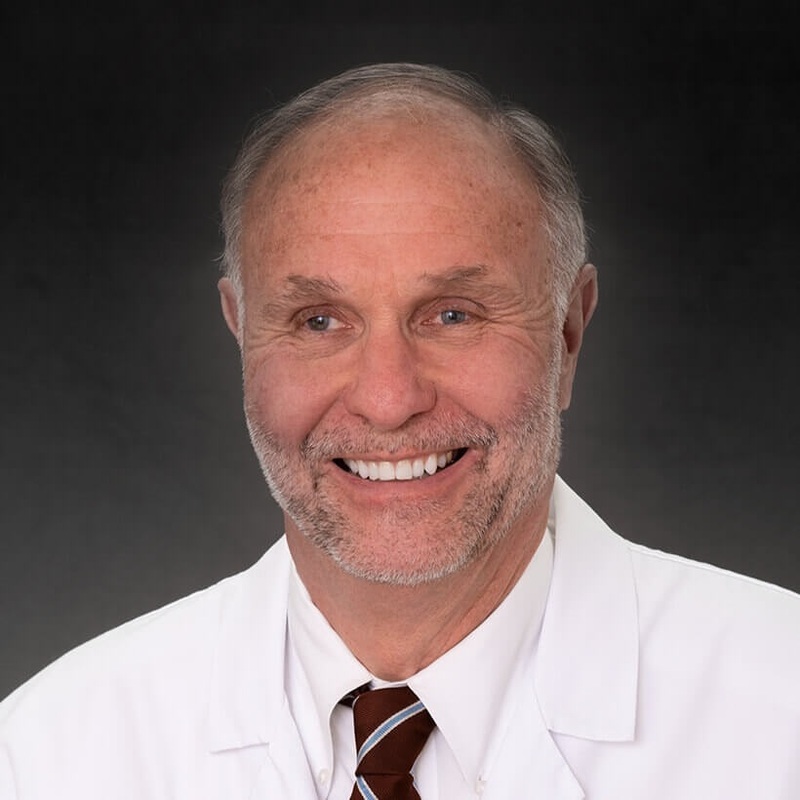 Dr. Herbert H. Beck, III, brings over 30 years of experience to Cancer Treatment Centers of America ® (CTCA), Chicago, as a gynecologic oncologist. Dr. Beck earned his medical degree from Northwestern University Feinberg School of Medicine after completing his undergrad in sociology from Princeton University. He completed an internship and residency in obstetrics and gynecology from Northwestern University before going on to complete a fellowship in gynecologic oncology from Loyola University Medical Center Affiliated Hospitals. Dr. Beck sees the relationship between a doctor and a patient as a true partnership. “The patient is the main driver of our care at CTCA®. I feel the physician should first discuss the treatment options with the patient, then proceed together with a mutually agreeable plan to treat the cancer,” says Dr. Beck. In addition to being a full member of the Society of Gynecologic Oncology, Dr. Beck is also a member of the Illinois State Medical Society, Chicago Medical Society and the American College of Obstetrics and Gynecologists. Dr. Beck is board certified in obstetrics, gynecology and gynecologic oncology, and has been honored three times by Chicago Magazine as a Chicago-Area Top Doctor for gynecologic oncology. In his free time, he enjoys reading, hiking and exercising. "Oncologist doctor was very caring and explained everything clear and concise. I felt very comfortable with him as he was very experience in providing care for me. I would recommend him highly to anyone needing care." "love it. no complaints. eased a lot of my fears"
"Dr. Beck is a wonderful doctor. He took the time to answer my questions. He treated me as a person not a number." "Very thankful and happy to be under the care of Dr. Beck. He is a wonderful physician and I trust him completely." "he was very thero and gave clear information that was very comforting"
"Love *Herbert H Beck, MD!" "Involves me in all decisions - super great! Answers questions!" "I love *Dr. Beck - he is wonderful." "[...] His lack of compassion, understanding, communication skills, ability to relate to the client, etc. are inconsistent with your image and support staff. After our first brief meeting I almost decide to leave and drive home to the [...] I am willing to talk about this. His impression left me feeling your facility instead of being the warm, Mother Standard of Care was more the Mary Poppins of Pushing Poison." "sometimes I wish the doctor could spend more time. I know they are extremely busy." "dr beck is amazing and honest so is his entire staff"
"[...] and Dr. Beck are the best." "Feel comfortable with Dr. Beck, [...] "
"DR Beck is very caring he sits and truly engages in our conversations he listens ask questions and is very responsive this gives me great confidence in his abilities"
"Dr.Beck is a very good Oncologist and I feel he has a lot of compassion for his patients.. so glad I have him for a Dr. and his nurses are the best.. Very nice and they explain stuff to you on your non medical level.. So pleased with him and his staff.."
"I am using a [...] as my treatment at this time. my oncologist is wonderful." "Competent, confidence inspiring, and kind." "Love my doctor, Dr. Beck. Very happy with his treatment plan for me which was so successful. He is a wonderful, caring doctor and I am very thankful to be under his continuing care." "all the doctors and PA's are outstanding"
"I have already recommended CTCA and all its staff to anyone I hear has cancer!" "I have already recommended this facility and my doctors to several of my friends"
"Very impressed with Dr. Beck and his PA."
"dr. Beck is one of the kindest most professional doctors I have ever been to. On a scale from 1 to 10 he is a 15 he is very informative , One couldn't ask for better doctor ." "knows what he's taking about." "i like honesty no bull and thats what he gave me i appreciate that more than i can tell you." "Dr Beck and his team are amazing. We have complete confidence in him and his treatment recommendations." "Dr Herbert Beck and Team are the best people I have ever met in my life"
"Dr. Beck is very good to me and will answer any questions that I may have for him when I am there for my checkups. I was under the care of [...] originally and it was a transition for me when [...] but I am getting adjusted to having Dr. Beck as my doctor over the last few visits that I have had with him." "He knows and has seen other patients, so I need to rely on his knowledge"
"love dr. Beck. always willing to listen to what I have to say"
"dr. Beck is the best doctor I've ever had very caring knowledgeable prompt answers my questions I owe him my life yes I would recommend dr. Beck is the best doctor Cancer Treatment Centers the best care I've ever had I love the cancer Treatment Center of America"
"Very professional, efficient, and kind"